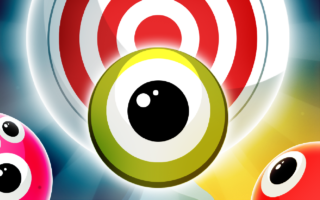 Free the Gluddle from The Supervision in this eyecatching oddball bouncy game for iPhone and iPad! Oi! 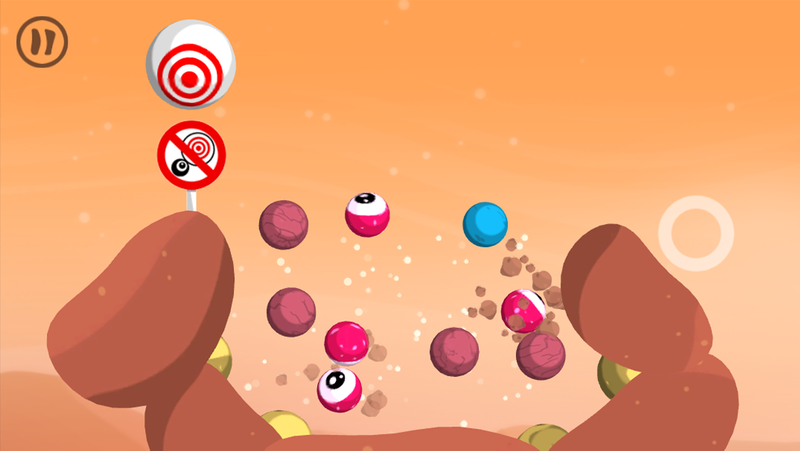 Aim and shoot springy globular characters called Gluddle in this eye-catching oddball bouncy game for iPhone and iPad. Freeze them in mid-air to help other Gluddle bounce about and defend their privacy and freedom from the evil eyes-in-the-sky…The Supervision! It’s pinball meets trampoline, it’s Peggle meets Angry Birds, it’s a totalitarian invasion eye-to-eye with a resilient resistance. Players are to clear Supervision-invaded levels by bumping Gluddle against the spying mechanical eye balls (nicknamed ‘bullseyes’) afloat in the sky. 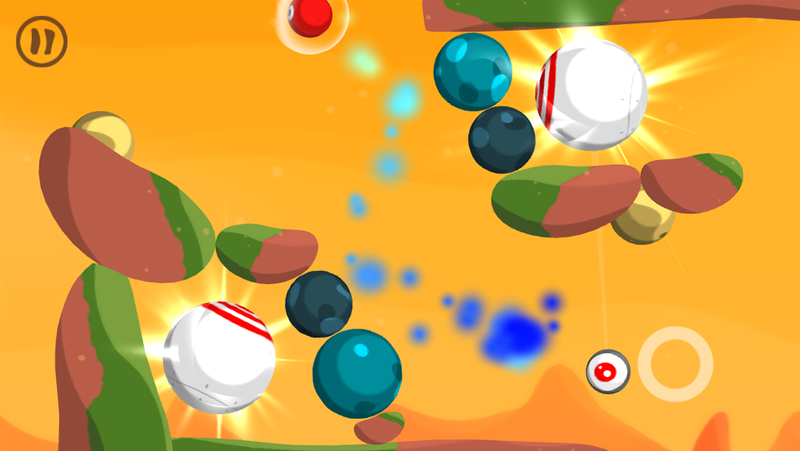 The gameplay revolves around launching Gluddle and freezing them in mid-air, thus creating paths and boundaries for succeeding Gluddle to bounce upon. The Supervision fights back by taking snapshots that flash and freeze every Gluddle that comes near. There’s no limit to the amount of Gluddle that the player can launch but he or she is awarded colorful medals if the level is completed within a certain time limit or below a certain number of Gluddle. 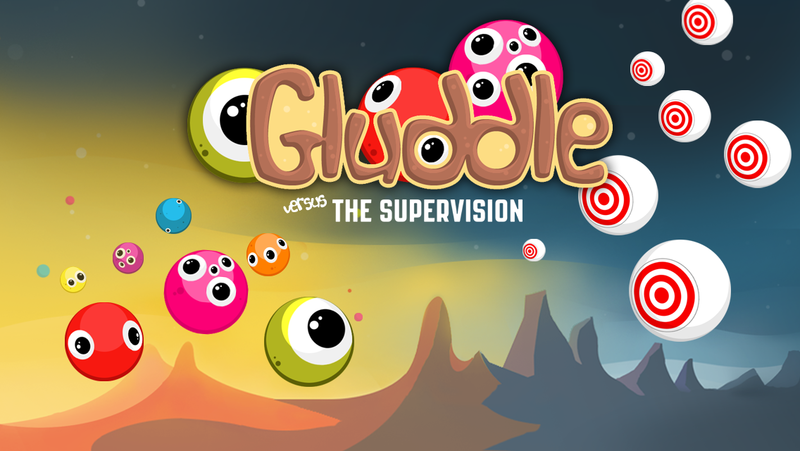 The levels of Gluddle are intentionally designed to create short, casual play moments. 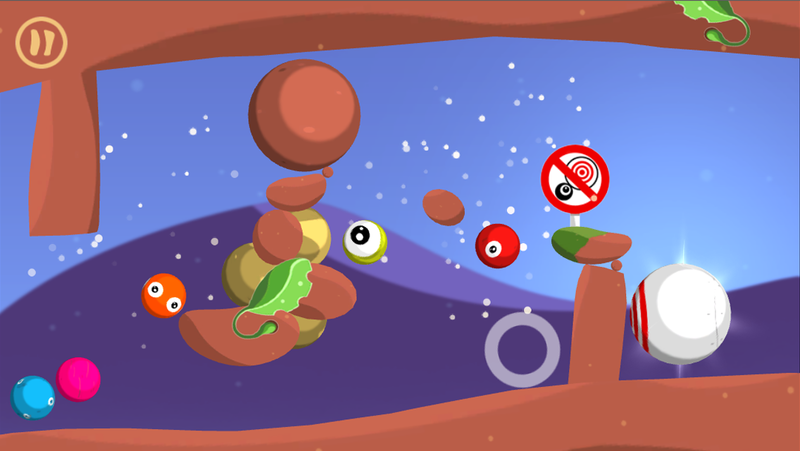 Due to its openness and randomness the game has an accessible, toy-like character and can be played by players of all ages. Many actions and events, such as explosions and Supervision animations, are precisely synchronised to the tempo of the synthetic, adaptive polka-beat, creating a continuous flow throughout the game. While the underlying themes of the game refer to topics such as today’s privacy problems and government control controversy, the main sentiment of the chaotic Gluddle and the orderly Supervision is really about loosening the reigns of life a little. To try and not be too serious and controlling, because it will freeze you up. Instead be colorful and cooperative, and let life take you to unexpected places. You will be amazed where you might end up! a complete absence of zombies, vampires and aliens! “Gluddle made me laugh. Several times. Out loud. (…) It’s a puzzle, a physics game, and there’s a lot to figure out, and the thing is, you can’t lose, and it makes you laugh. Gluddle was nominated for the Control Industry Award Nominee for Best Dutch Game 2012, out of 144 games. 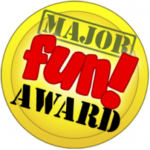 Gluddle won the Major Fun Award and was selected both Eurogamer App of the Day and Kotaku Gaming App of the Day. 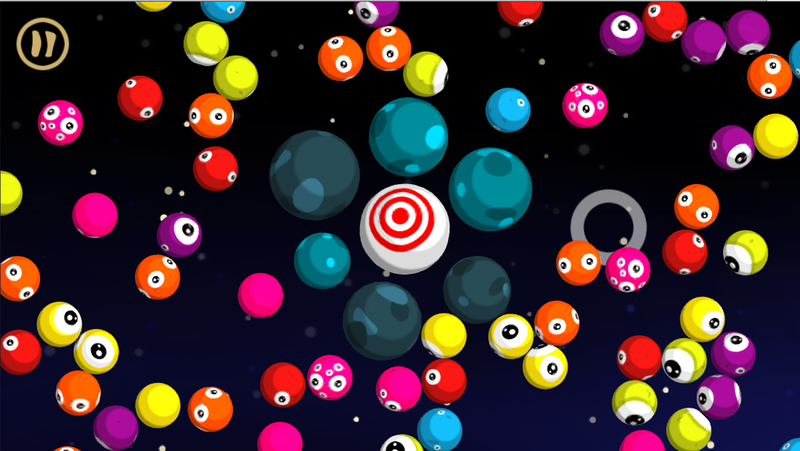 A standout achievement of Gluddle is the innovative use of sound in the game. It uses an adaptive music system that not only responds to what is happening in the game, but even controls part of the gameplay. Many events, such as the flashing of the Supervision, are timed to the beat of the music. This creates a musical flow that immerses the player in the game and allows for special tactics to be used, if the player pays a close ear. Gluddle also features a novel game mechanic: launching a projectile and then freezing it in mid-air to create a bouncing surface for concurrent projectiles. This mechanic, which was originally developed back in 2004 for a one-switch platform construction game for gamers with a physical disability, makes this game stand out as a real original! Gluddle features 27,5 times more character sounds than the average Angry Bird character, meaning the game features a whopping 193 sound files just for the Gluddle characters alone! Gluddle’s wink to modern privacy concerns includes (hidden) references to Facebook, Google, Facebook, PRISM, George Orwell’s 1984 and Animal Farm, CCTV and paparazzi. Can you spot them all? The soundtrack for Gluddle has been performed live on two Indie Game Concert events. Visit the Gluddle website (slide accessible for iPad or iPhone!). Go to Gluddle in the App Store – Pinball meets Angry Birds. Go to Gluddle in the Google Play Store.